AUTHENTIC TIFFANY And CO. 14K Y/Gold Key Chain W/Bell Pendent and Ruby. 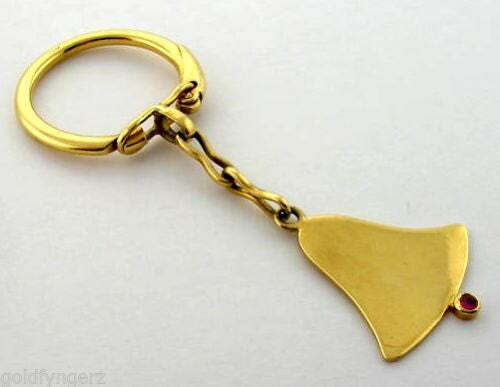 AUTHENTIC TIFFANY & CO. 14K Y/GOLD KEY CHAIN W/BELL PEND & RUBY. Here is a unique TIFFANY & CO, 14K SOLID GOLD KEY CHAIN, WITH A CABACHON SET RUBY on the BELL FOB/PENDANT. 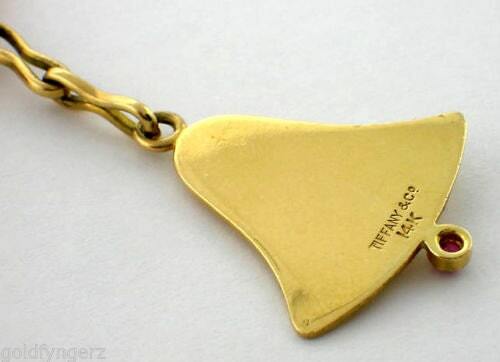 ITEM IS IN XLNT PRESERVED CONDITION AND HALLMARKED WITH THE MAKER‘S TRADEMARKS. 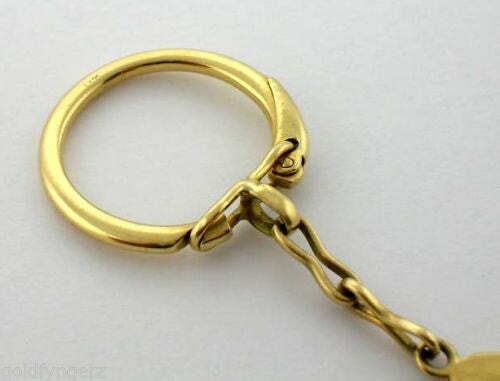 THE KEY CHAIN IS 72.25 mm in length, and 26.15 mm in width.